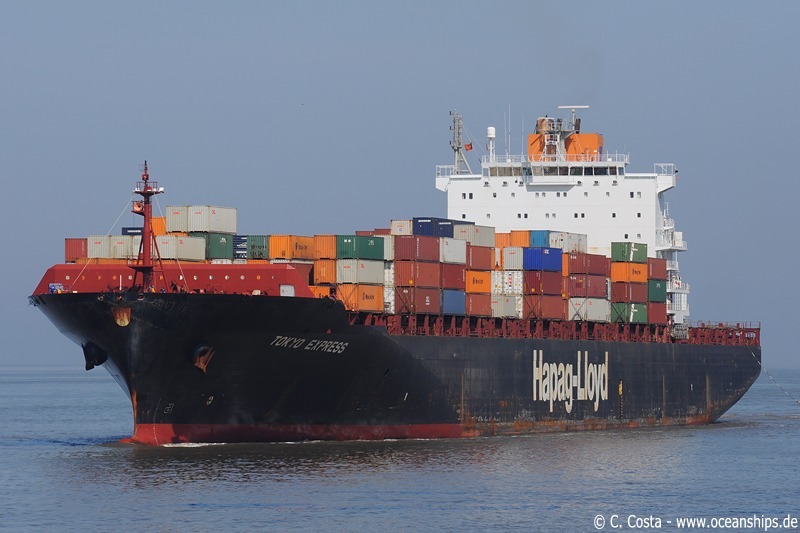 Tokyo Express is arriving in Bremerhaven on June 29th, 2009. 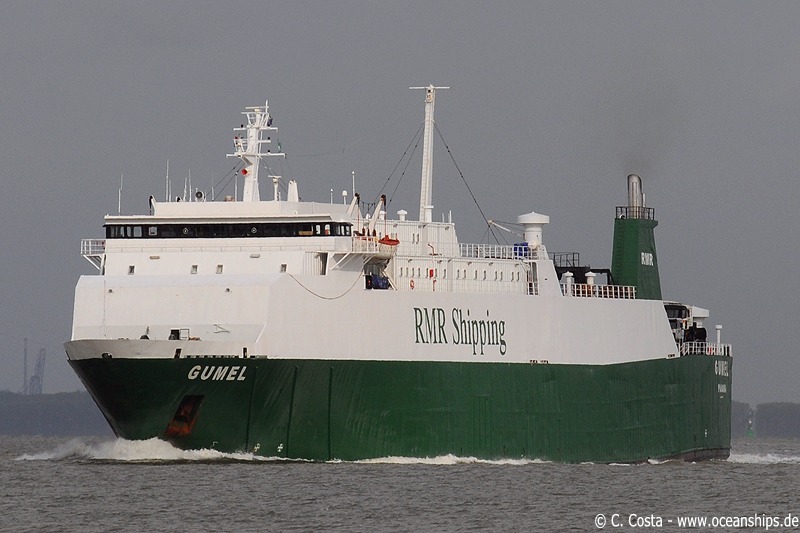 Ro/Ro vessel Gumel is passing Walsoorden on May 26th, 2009. 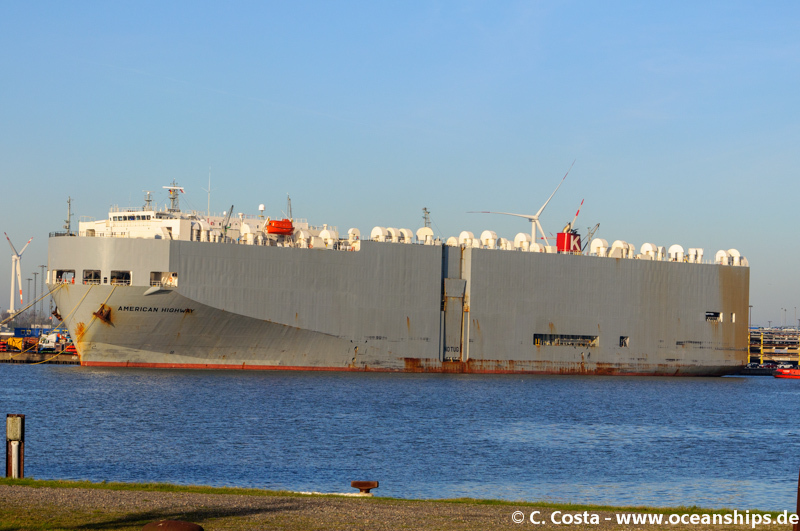 Vehicles carrier American Highway is moored at Bremerhaven Nordhafen on October 28th, 2014. 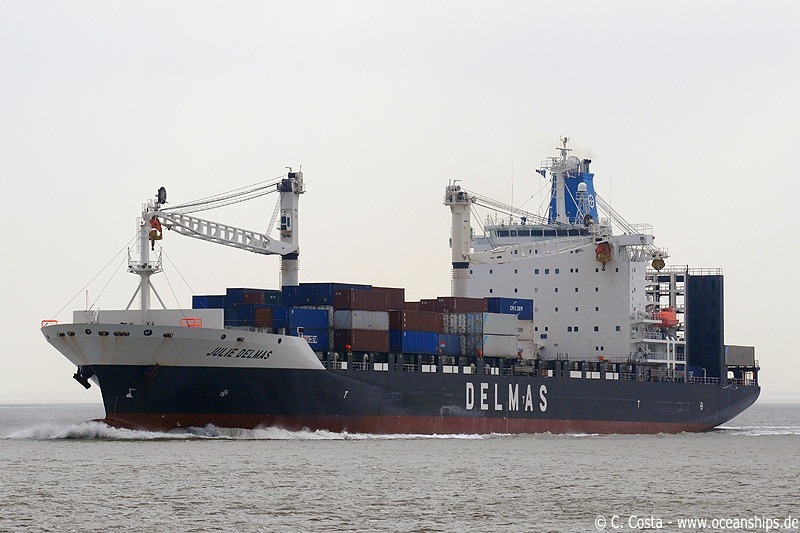 Julie Delmas is passing Terneuzen on May 26th, 2009.